Update #6: 40 hours to go! There are many things that are difficult to do in this world. Scaling Mount Everest with one hand, skydiving while performing heart surgery, and trying to remove the little ridges from a piece of notebook paper without ripping the page. We're focusing on two of the hardest, most rewarding jobs in the world: indie game development and fatherhood. Well, we're not dads, but we're making a game about one, so that's gotta count for something, right? Also, the dad in question is an octopus. Before we get too far ahead of ourselves, if you're not familiar with Octodad, a game about an octopus trying to convince his human family that he is a regular human dad, check it out! 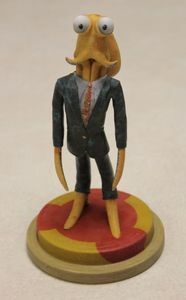 You can find it at www.octodadgame.com. Take it! It's available for the low, low price of free! We're practically (literally) giving it away. We have an awful lot of ideas for hilarious gags, ridiculous scenarios, and tooth-grinding gameplay that we just couldn't fit into our humble student game. Now that we're a big, bad indie studio, we want to do Octodad justice. 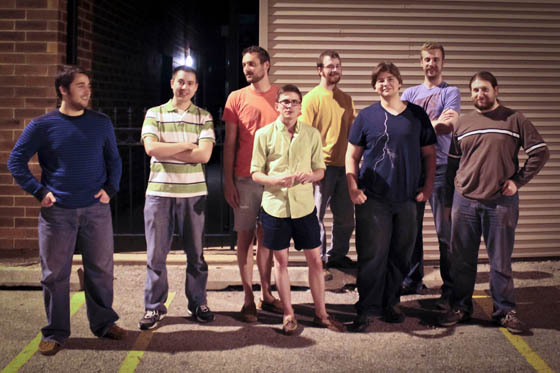 Our team of eight game developers / comedians is building the foundation for a professional (indie) game. We're talking way more slapstick comedy octopus fathering, with a much more polished, full-featured and longer game! We're shooting to release in about a year on PC and Mac, with plans to release on Steam. If support is overwhelming enough, we'd also like to do a console release using motion-control devices for added realism (hilarity) to the octopus/father simulation. We invite you to open your hearts (wallets), and give the gift of your love (money) to create a new, incredible Octodad experience! We need your help to make this a success! $1 = Virtual high five and Octodad's sincere thanks. 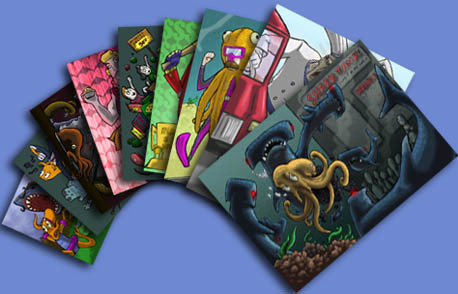 $5 = Digital Art and special thanks in the finished game credits. $100 = Octodad Plushy. (Octodad T-Shirt and a copy of the game when it's released for PC/Mac. Digital Art and special thanks in the finished game credits.) Limit of 30. $500 = In game non-player character of yourself. (Octodad T-Shirt and a copy of the game when it's released for PC/Mac. Digital Art and special thanks in the finished game credits.) Limit of 6. 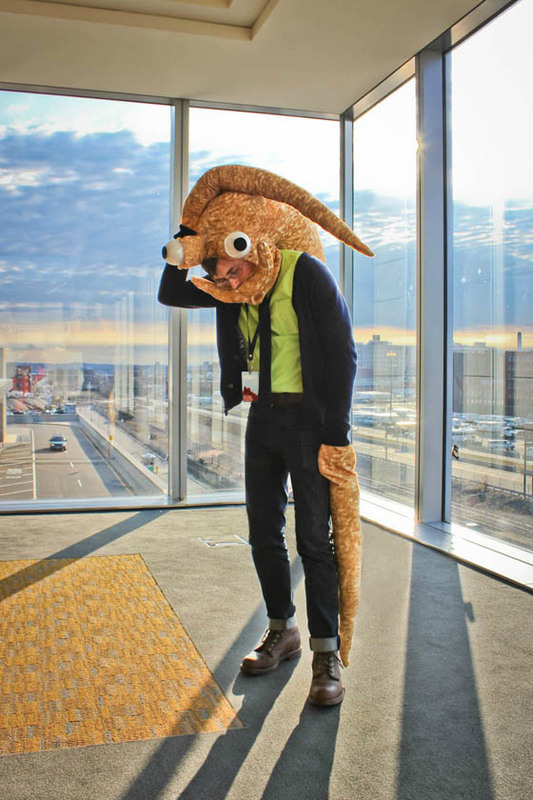 $800 = New custom Octodad costume tailored to fit you or your cat. (Octodad T-Shirt and a copy of the game when it's released for PC/Mac. Digital Art and special thanks in the finished game credits.) Limit of 1. $1000 = 22" x 34" Framed Oil Painting of Octodad based on the digital poster above. (Octodad T-Shirt and a copy of the game when it's released for PC/Mac. Digital Art and special thanks in the finished game credits.) Limit of 1. Phil Tibitoski: As dead-pan as they come, Phil can be a programmer one minute and a sassy indie darling socialite the next. Phil tries. Kevin Geisler: Kevin isn't a robot despite the amount of proof that we've gathered to the contrary. Often tries to make life easier for the ungrateful designers through his amazing programmer capabilities. Devon Scott-Tunkin: Devon was once a painter that gave up that life of beauty to become a cold-hearted programmer for hire. He is also crafting an amazing picture of Octodad for you to hang on your wall. John Murphy: General taskmaster and last minute game tweaker. John knows how to turn on the charm and is often found penning piles of romantic business e-mails. Chris Stallman: Master arteest and goateed wonder. Chris is pure of heart and loves ponies. Majdi Badri: Designer and Octodad world-builder. Writer. schmoozer. Meme-knower. He is suave, sensitive and s-charming. Ben Canfield: Often fighting with Devon over who is the tallest, Ben manages to get art done sometimes. He is a Maya and a t-shirt design magician. Kevin Zuhn: Designs, arts, and writes wherever needed. His lack of a sense of smell protects him from the powerful odors in the Young Horses office. Seth Parker (Not Pictured): A musician and bard by trade. Seth's beats, songs, jams, and tunes really make Octodad an experience rather than just a game. Licensing costs for software needed for development. ESRB rating fees, Steam application fees, other fees. Help us get our original voice actors to reprise their roles! Offset our living and development costs. Booths for gaming conventions, such as PAX East/Prime. Thank you for any and all support. 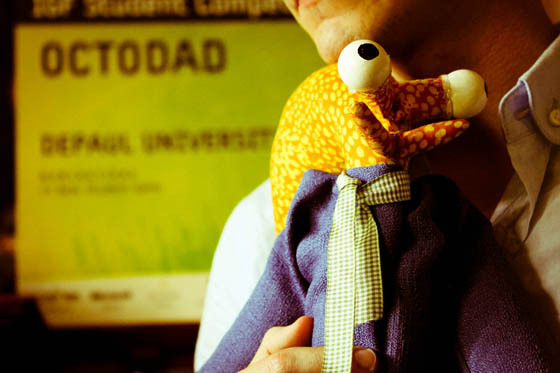 We know that with your help we can make the best sequel to an octopus fatherhood simulation the world has ever seen! Virtual high five and Octodad's sincere thanks. Digital Art and special thanks in the finished game credits. Have your name or a name of your choice, as long as it's appropriate, on an object/place in the game. Negotiable as far as what the object or place is, but for example: Grocery Store, Aquarium, Street Signs, etc.